The Use of Kratom is becoming trendier as more and more people are talking about alternative medicines and supplements. Besides the fact that there are various brands and strains of Kratoms offered in the market, another aspect of it which people are discussing is its effectiveness. If you are wondering what a Kratom is – a Kratom is a native tropical plant found mostly in South Asian countries. Also referred to as Mitragyna speciosa, it is capable of aiding digestive ailments and anxiety. Moreover, it can also treat chronic pain. Kratom becomes effective because of its two focal ingredients, the 7-hydroxymitragynine and alkaloids mitragynine. As part of its process, its leaves are powdered after being dried. The extracts coming from these alkaloids are the reasons behind its effectiveness. The effects vary with the extraction process for each brand. Other brands stick with traditional methods, such as offering a supply of powdered leaves of different strains contained in sachets. Some brands use different techniques to maximize the extraction process. 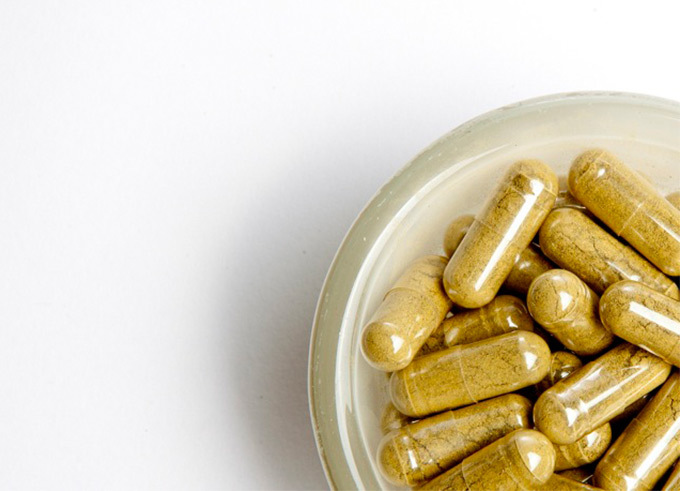 Kratom is available in capsule and tablet form. You can also consume it by brewing it in tea bag form. With the growing Kratom market, you might have a hard time deciding which brands and strains to select. In case you need a helping hand, one brand you might consider is the Herbal Salvation Kratom. If you haven’t heard about Herbal Salvation yet, you’ll be surprised to know that the company is a non-profit group. They are an established company in the Kratom industry which donates revenues to select charitable organizations. The company is not only generating revenue for good causes, but it is also building a good reputation based on trust and ethical practice. Moreover, part of the Herbal Salvation’s advocacy is to update the public regarding what is new in the world of Kratom. The company is also committed in providing further information about Kratom. Known to be potent, the White Vein MD can give you the energy you need for the work day. Users admire this strain because of its fresh scent. Aside from energy, it can also sharpen your focus, providing just the right combination you need to stay productive for the long haul. The White Vein MD has a five star rating with 18 reviews as per Herbal Salvation’s main site. Some users commented about how energizing and excellent the White Vein MD is. Some were also surprised to get good results after mixing it with other strains such as Red MD or Red Sumatra. In addition, users loved the long-lasting effects this strain offers. Another product from Herbal Salvation that you might find useful is the Gold Vein Bali Kratom. This strain is versatile when it comes to its many purposes, but it’s also the best strain for relieving pain. Having a resemblance with the Green Horn Kratom, it is considered to be more popular, however. The Gold Vein Bali received an overall rating of 4.8 out of 5 with 14 reviews from the Herbal Salvation’s site. What users admire most about the Gold Vein Bali is how it improves your overall mood, besides causing a sense of euphoria. Some users also mix it with Red Bali, as these two strains pair with each other well. If you are looking for Kratom that will help you attain deep relaxation, another kind of Kratom introduced by Herbal Salvation that could work well in this regard is the Green Vein Bali. Despite being mild to the body, its effects are compelling. The Green Vein Bali has an overall 4.9 rating with 13 reviews from Herbal Salvation’s website. Users highly recommend taking the Green Vein Bali if you want to unwind and relax after a long, tiring day. Some users indicated it as being their favorite strain for its great sedative qualities. If you are a new customer, you can count on these top three strains of Kratom before you expand on your choices. After all, Herbal Salvation is known to offer high-quality Kratoms of different strains. These strains will provide plenty of opportunity to choose which Kratom products to try first.